Fracking Chemicals Detected in Pennsylvania Drinking Water – NYTimes.com. 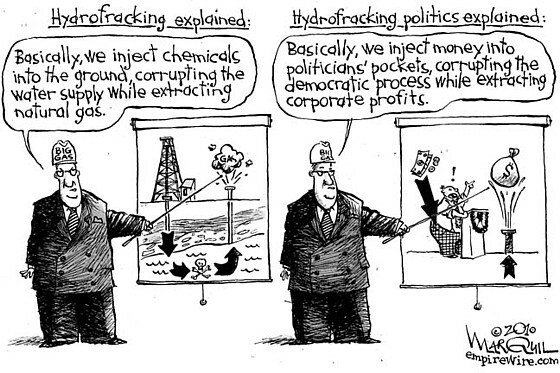 Scientific Study Links Flammable Drinking Water to Fracking – ProPublica. to controlling pollution of our air, land and water and threats to public. WORC www.worc.org is a regional network of seven grassroots community organizations that include 10,000 members and 45 local chapters. WORC helps its member groups succeed by providing training and coordinating issue work. WORC’s mission is to advance the vision of a democratic, sustainable, and just society through community action. WORC is committed to building sustainable environmental and economic communities that balance economic growth with the health of people and stewardship of their land, water, and air resources. regulation of all aspects of exploration and production. oil and gas industry to come clean. affected by oil and gas development can use to evaluate existing and proposed disclosure policies. of these requirements are focused on waste injection wells, and not exploration and production wells. chemical constituent used in a well, as well as the volume and chemical concentration. and any other methods of well stimulation. disclosed to the public in these states. medical necessity, and regular review and appeal of proprietary designations. Right-to-Know Act, which meets the criteria listed above. 4. Information must be disclosed to the public. drilling or stimulation to conduct baseline tests. used. In Wyoming, pressures used and fluids recovered are required in the completion reports. the volumes of fluids injected and produced. 7. Reports must be filed on a well-by-well basis. Both Arkansas and Wyoming require most or all reports on a well-by-well basis. action to protect public health and the environment. likely to reside within health departments. And, all of these agencies have limited manpower. Groups say facilities wrongly discharging drilling wastewater. Two municipal sewage treatment facilities that together discharge 150,000 gallons a day of Marcellus Shale wastewater into the Monongahela River watershed don’t have federal permits for such pollution discharges and should, according to two environmental organizations that say they will sue the facilities in federal court. Clean Water Action and Three Rivers Waterkeeper on Thursday filed a “notice of intent to sue” against sewage treatment operations in McKeesport and Franklin, Greene County, claiming the facilities are in violation of the federal Clean Water Act. The notice marks the first legal action challenging the widespread practice of discharging Marcellus wastewater through municipal treatment facilities that do not have permits to treat such waste. The groups were critical of both the state Department of Environmental Protection and the U.S. Environmental Protection Agency for failing to enforce existing discharge permits, which limit the facilities to treating and discharging sewage waste water. At least 11 sewage treatment facilities in the state accept and discharge Marcellus wastewater. Mr. Arnowitt said the treatment facilities should immediately stop accepting the gas drilling wastewater or seek permission to amend their permits so they can legally do so. The 18-page legal notice sent to the treatment plant and municipal officials in McKeesport and Franklin is a requirement of many federal environmental laws that include citizen suit provisions. It’s the first step toward filing a lawsuit and provides 60 days to negotiate a settlement before a lawsuit can be filed. In response to water quality concerns, the DEP in 2008 limited the Municipal Authority for the City of McKeesport’s treatment and discharge of Marcellus Shale drilling wastewater to 1 percent of its total discharge, or an average of 102,000 gallons a day going into the Monongahela River. This year the authority’s Marcellus discharge is limited to 99,700 gallons a day, based on its average daily discharge in 2010. The Franklin Township Sewer Authority in Greene County discharges an average of 50,000 gallons a day of Marcellus drilling wastewater into the South Fork of Ten Mile Creek, a tributary of the Monongahela River. That’s equal to 5 percent of the authority’s daily discharge, and allowed under a negotiated consent agreement with the state Department of Environmental Protection. 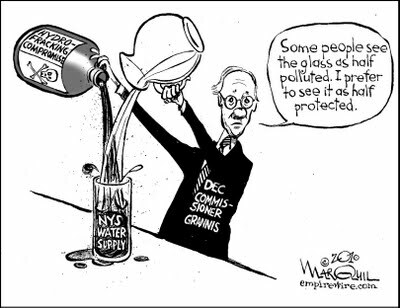 Those state-imposed treatment and discharge limits don’t address the main claim of the environmental groups: that their existing discharge permits haven’t been changed to allow them to accept the drilling wastewater and that the discharges are having a detrimental effect on water quality in the rivers. About 500,000 people get their drinking water from the Mon. Joe Ross, executive director of the McKeesport authority, and George Scott, general manager of the Franklin facility, said Thursday afternoon they hadn’t seen the notice filing or been contacted by the environmental groups, so declined to comment. Tuesday, March 1, 2011 – 10:06 a.m.
on the Deep Panuke natural gas development offshore Nova Scotia. risks of extracting natural gas. rewards of drilling for natural gas. former Secretary of the Pennsylvania Department of Environmental Protection. Oil and gas service companies injected tens of millions of gallons of diesel fuel into onshore wells in more than a dozen states from 2005 to 2009, Congressional investigators have charged. Those injections appear to have violated the Safe Water Drinking Act, the investigators said in a letter to the Environmental Protection Agency on Monday. 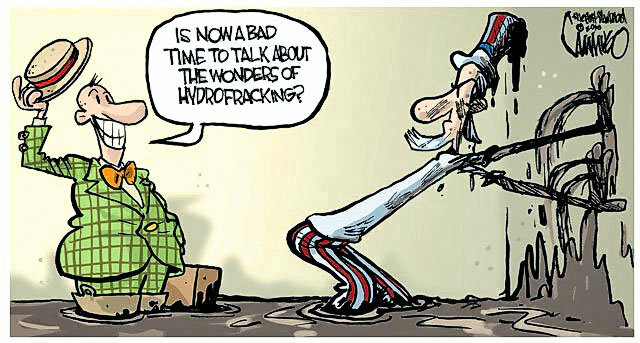 The diesel fuel was used by drillers as part of a contentious process known as hydraulic fracturing, or fracking, which involves the high-pressure injection of a mixture of water, sand and chemical additives — including diesel fuel — into rock formations deep underground. The process, which has opened up vast new deposits of natural gas to drilling, creates and props open fissures in the rock to ease the release of oil and gas. But concerns have been growing over the potential for fracking chemicals — particularly those found in diesel fuel — to contaminate underground sources of drinking water.